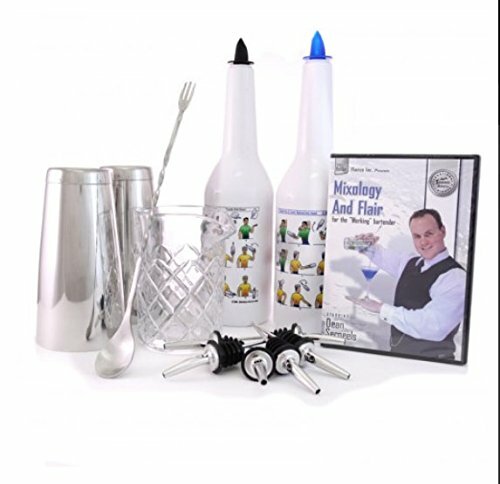 Mixology and Flair Kit is perfect for a beginner bartender wanting to learn it all! This DVD focuses on classic techniques and flair skills that are ideal for working bartenders. Cocktails will come to life when you learn these everyday skills and tricks from master Dean Serneels. Included is everything you need to get started with flair bottle plus tools you can use to create beautiful hand crafted cocktails! You will be bartending like a pro in no time, and raking in the money with these new skills. If you have any questions about this product by Flairco, contact us by completing and submitting the form below. If you are looking for a specif part number, please include it with your message.